I meant to make a monthly update, but somehow I missed it last month. I must have been engrossed in editing or life or something, because I totally let that slip. January saw the completion of eight chapters of Forever Heart edited. In the midst of it all my dear friend Voirey Linger answered my desperate plea for a writing coach. There comes a point in many of our lives we face our shortcomings and we realize we have no way of fixing them without an intervention. I began the quest to nail down my hero’s motivation. Without VL he’d still be a mystery to me. I also read Debra Dixon’s GMC book. Very entertaining and enlightening. I’m starting to sound like a regular writing nerd. 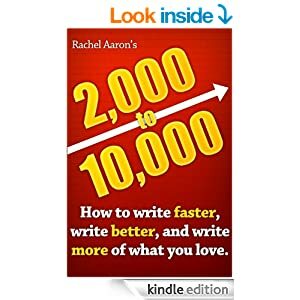 February, though not over yet, I read yet another craft book… 2K to 10K Writing What You Know. Another excellent read that inspires me to write better, smarter. I am also digging into my heroine’s motivation in Forever Heart. This means the edit is on hold until I get her … and him, nailed down.